Home>New Songs>A$AP Rocky Songs> A$AP Rocky Returns With New Song "Sundress"
A$AP Rocky is back, ladies and gentlemen! A few weeks ago, a new song by A$AP Rocky was leaked online before he started to preview it during performances. Moments after it surfaced on the internet, the link was moved to private. We heard a glimpse of "Sundress" but finally, it's been released by the artist on his official platforms. Surprising us all, Rocky came through with his brand new single, releasing "Sundress" through his SoundCloud. The track heavily samples a 2010 song by Tame Impala titled "Why Won’t You Make Up Your Mind?" which serves as the hook. This is the first solo song that the A$AP Mob member has released since Testing, perhaps marking the beginning of a new era. Many have been speculating on the potential of a new album as Rocky announced his upcoming tour, titled Injured Generation. There are rumors floating around that we may be in for an album of the same name. Nothing has been confirmed by Rocky though. This is one of two songs that were previewed at Camp Flog Gnaw as Rocky also played a song tentatively called "Shittin Me." Maybe we'll be hearing that one soon, too. Now that the official CDQ is out, let us know what you think of this new song by A$AP. 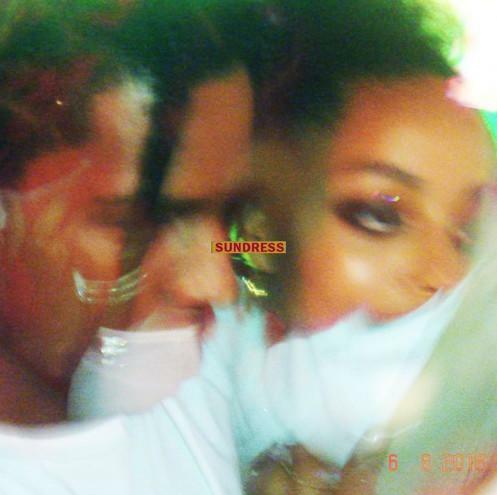 SONGS A$AP Rocky Returns With New Song "Sundress"